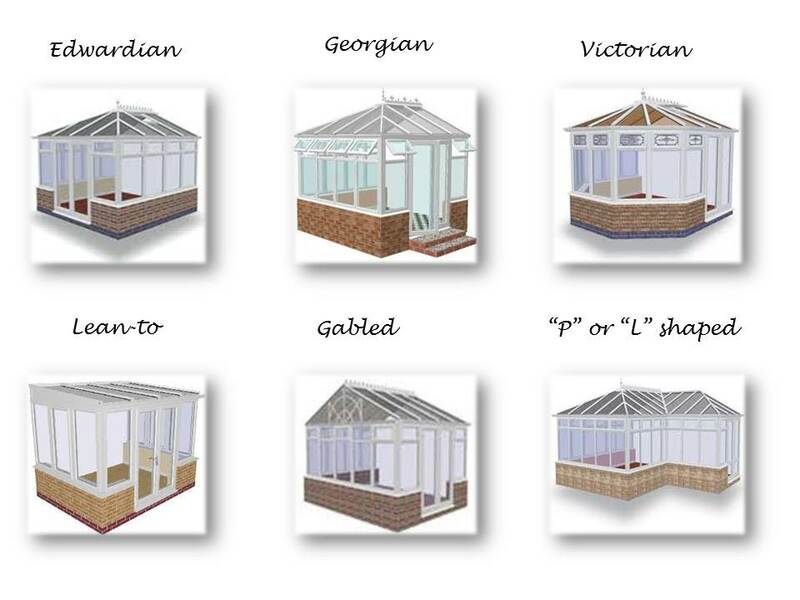 Victorian conservatories: these are medium to larger sized with a rounded appearance characterised by their faceted sides and “cone” shaped glass roofing. Lean-to conservatories: most common style to use if you are short of space or on a lower budget. Shaped as a rectangle or sometimes a square, they are a simple design with a single sided roof and your money will go a long way. Edwardian & Georgian: Square designs, or even cubic in appearance, the difference between the two is normally that the Georgian is a bit more fancy in design with the Edwardian featuring more clear glazed areas. Orangeries: these are really just “high end” designer conservatories built with more solid pillars and a flat roof with a glass lantern. They all come in a range of sizes to suit each particular circumstance, but likely the cheapest will be a 3 x 3 lean to conservatory.